You are here: Home / blogging / I bet you didn’t think that blogging could give you the same great feelings as Pilates! I bet you didn’t think that blogging could give you the same great feelings as Pilates! It was January 17, 2013, about 10pm. We were in the emergency room at a local hospital in a rough part of town. It was really really cold. Like the wind chill was 20 below zero. Really cold. My Dad and I were sitting with my Mom, who had fallen down some stairs at home. My dog was in the car – wrapped in blankets — and I went out to check on her every half hour or so. (The hospital was 70 miles from my house – and I had no one else to take care of her.) Every time I went back in the ER from the parking lot, I had to get buzzed in — and I was pretty sure the clerk was surrounded by bulletproof glass. Things were moving very slowly in getting my Mom diagnosed and treated. I took out my computer, and started another blog. I had started my personal blog about 4 months earlier after a friend urged me to share my stories. My parents were getting older, and we were switching roles. I had become the parent to my parents. I had been blogging for work for about a year, but talking about feelings, and personal stuff was a whole new ballgame. I am not particularly comfortable sharing my feelings on a 1:1 basis, so sharing feelings on a 1:thewholeworld basis was really a stretch. As I look back, the rewards have been so much more than the risks that I was feeling. Here are just part of the things that happened to me, as a result of my personal blog. I found that blogging helped me see lots of situations more clearly. Pretty much the same thing that happens after I go to Pilates class! Sometimes my blogs said the words I couldn’t – that I needed help. I was blessed with family and friends who reached out and supported me through the tough times. 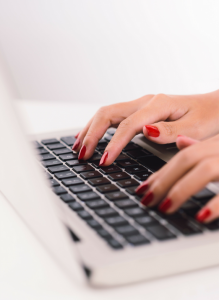 I found that blogging helped me deal with patient care situations and be a better care giver. I was able to see the “daughter of an elderly patient” view — but from the providers view as well – and through telling my stories of “the daughter’s view” – I had many physicians reaching out, and thanking me for reminding them to talk to their patients and their families, not talk at them. Whenever I was emotional or nervous or couldn’t sleep; I’d get up and blog it out. I was amazed at how much that helped me with my new role as caregiver. Later in 2013, when my mother was diagnosed with pancreatic cancer, I blogged through that journey as well. I found support from people I had never met through my blog, and eventually – the first 4 months of our cancer journey blogs were published in a book – something i had never even imagined. After a particularly frustrating experience trying to get information from one medical center to another, the developers of a mobile application reached out to me, and I was able to give them a checklist of the things that were frustrating me in their app. They were able to tell me which of those things were already on their list, and what they would be changing soon. I still blog on that blog occasionally, even though my parents are both gone. It seems that you don’t stop being an only child, just because your parents are gone. That’s something that stays with you, it’s just that the focus of the blog has changed from being a caregiver to my life. About 6 months after my mother passed away, I was on a work trip and a coworker cornered me to “have a talk”. She told me how she had become caregiver for her sister after her sister was diagnosed with terminal cancer. She said many of the things that I blogged about, health care issues, emotional issues, just putting one foot in front of the other to get through the day had really helped her as she dealt with her sister’s illness and death by cancer. She cried as she told me, and I cried when I heard it. I never dreamed my blog would touch people that way. You just never know the effects of an action until you take action. Like starting a blog. 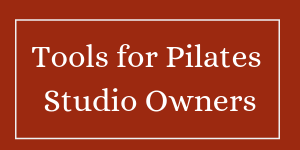 Previous Post: « Did you make the BIG mistake of posting this Pilates article too? ?